Our amazing team of leaders. 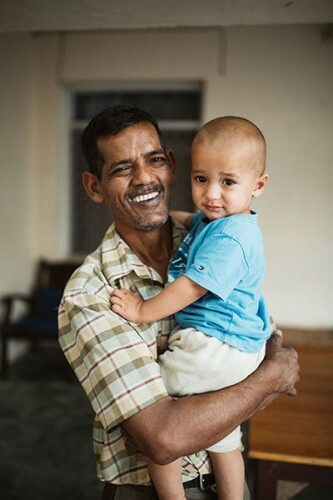 If our children are our heart, then our orphanage staff are our muscles. Nothing would ever get done on the Mission if it wasn’t for our team of caring individuals who work tirelessly to create the safe, nurturing environment that exists at Strong Farm. Most of our staff live on site in accommodations that we provide. Their homes are very modest. Generally they have very little in the way of possessions or assets and often their homes are in need of repairs. But in all cases, this is a labor of love, with many staff members knowing first hand just how powerful a loving Mission childhood can be. Our children refer to our orphanage staff members as Auntie and Uncle; this is an important part of building our family atmosphere. Our youngest members of staff are around twenty years old and our oldest is over eighty! Each day our staff members meet together for afternoon and morning tea, and every Tuesday afternoon for a staff meeting to discuss the needs and works of the Mission together. Aunty Violet is the oldest member of our orphanage staff and in addition to this the oldest living member of the Mission. She came as a child in the early 1950’s, one of the original orphan children of our home. As she grew up she worked alongside Rev. Maxton Strong and his family in the early establishment of the farm. 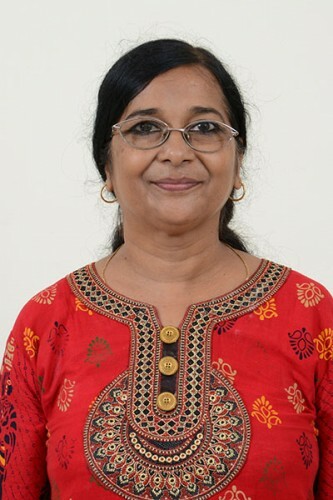 Her positions changed as time went on but for more than thirty years she has been the Hostel In-charge for our Small Boys, providing them with love, care and stability. Many of our male staff members, now adults, grew up under Violet’s care and still look to her as a motherly figure in their lives. 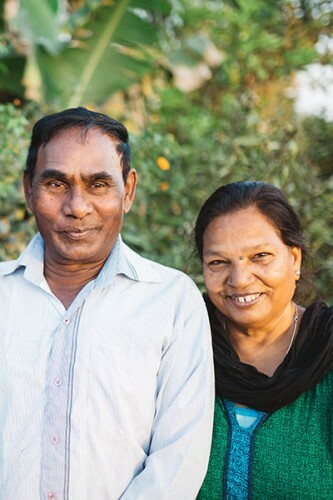 Uncle Anil & Aunty Peggy are part of the backbone of the Mission. Anil works on the farm assisting in the supervision and management. Peggy helps run the Sewing Department as well as assisting around Strong’s House with the preparation of morning tea and the general care of the children. Both orphaned at a young age they grew up here as children on the Mission and were married before joining our staff body. They have three daughters and a son. Katie came out to India as a volunteer from the USA several years ago but quickly became an important member of our volunteer staff. She along with her husband Anish and their daughters Evelyn & Sohalia live on site. As a family they run our Nursery, living under the same roof and providing a loving home to our youngest children. 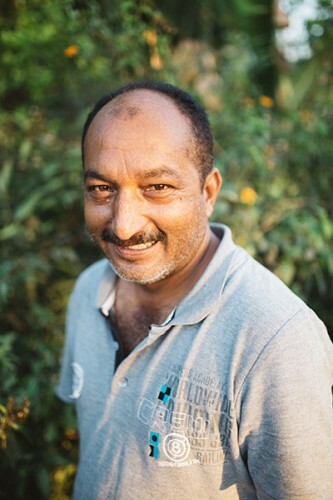 Anish is also our Farm Manager and works in our workshop assisting with the general maintenance of the entire Mission. After growing up on the Mission Stella (on the right in the photo) has now chosen to work in the service of the next generation of children. She helps look after the Big Girl’s Hostel as well as assisting in the main laundry where almost our entire families clothes are washed. When Joey first came to the Mission as an infant he was adopted by Maxine who saw to the additional care and support he needed. He grew up on the Mission before moving up to the mountains to work for some friends. Now, years later, he has returned and devoted himself to the work of the Mission. Joey lives in the Big Boy’s hostel and keeps himself very busy as one of our orphanage staff by working in Strong’s House, our main administration building, and doing gardening around the grounds. 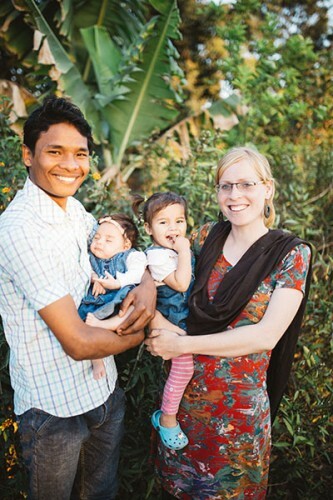 Elsie along with her husband Sunil were both children of the Mission. 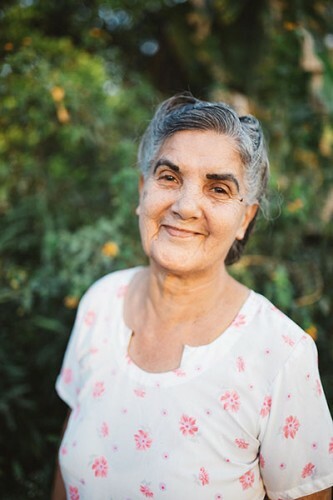 Elsie now works as one of our orphanage staff assisting her sister Violet in caring for the Small Boys and also helping with the gardening and general Mission upkeep. Elsie has two daughters, one of whom is living in the USA with her husband, a former GSAM volunteer. The other who lives on the Mission and helps provide additional tutoring for our children’s. 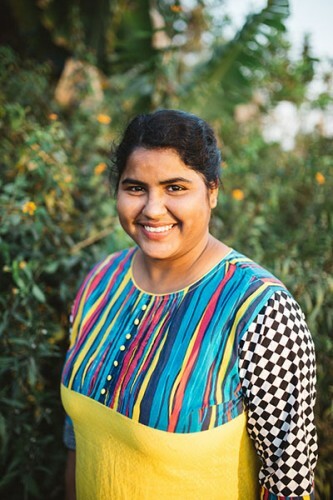 April is our youngest member of staff; growing up on the mission she never imagined that her adult life would find her as the hostel incharge for our Small Girls Hostel but we couldn’t imagine her anywhere else! Living with around 20 girls between 12 and 16 April is the older sister everyone wants, fun loving, protective and supportive. 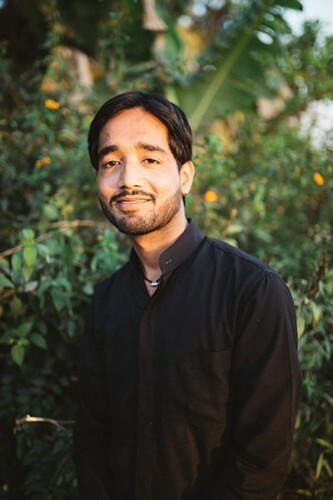 Sunny is another of our young boys who grew up into a young man and chose to join us on staff. 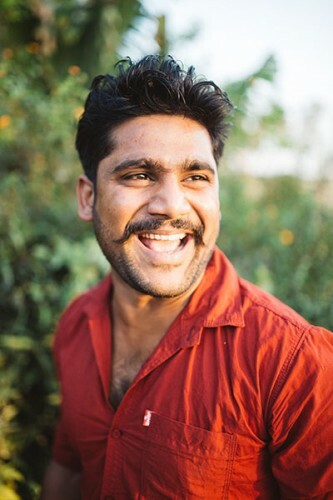 Fun loving and full of life Sunny works as the Manager of our farm and moonlights as the incharge of our Big Boys Hostel. Initially working as a volunteer, Amit joined us on staff a few years ago and helps out in our office. Working in our administrative department Amit can be regularly seen heading out the gate on the way to the market, the bank or various government offices around the area. 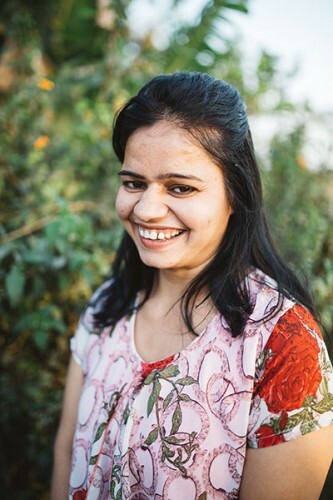 Esther has lived almost her entire life on the mission; growing up as one of the children of the orphanage she now helps to run our Nursery department -ensuring our youngest ones are bathed, clothed, loved and ready for whatever life has in store for them. Flippy is an old farm boy who has lived his whole life either on or working for the mission. He helps to drive our school van, manage day-to-day maintenance and run our workshop. 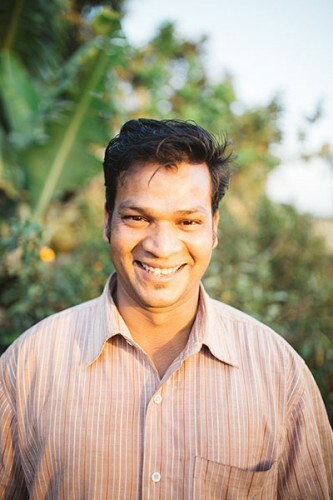 Ganesh is one of our newest members of staff. Working as a full time carpenter Ganesh builds much of our furniture and helps with general maintenance around the compound. 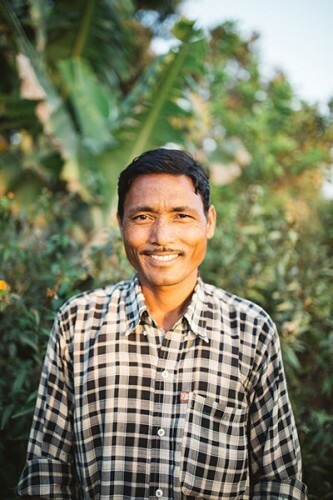 Growing up next door to the mission Kullu and his family have been a part of our journey for decades. 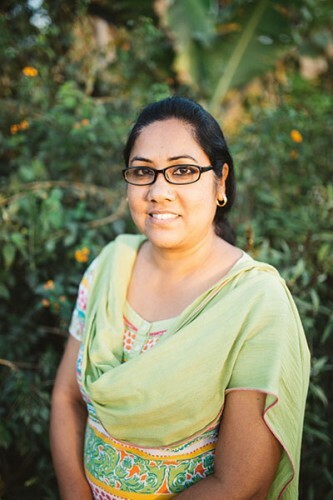 Kullu now works in our agricultural department helping drive vehicles and tractors. Unlike many organizations our orphanage staff do not receive large salaries. In fact when compared to just about any job outside our staff receive considerably less. The main reason for this is because most of our staff grew up as children of our orphanage or are married to one. Our staff are passionate about the work that we are doing and the effect that we are making because they know the difference that can be made in our children’s lives. Many also work as volunteers receiving only food, supplies and accommodation.